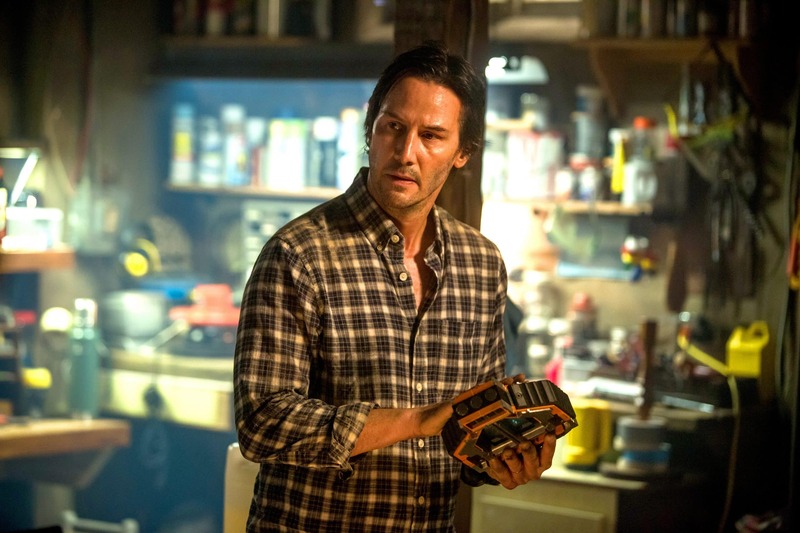 Keanu Reeves latest film Replicas comes in a long line of the actor’s presence in sci-fi and action. The actor has been known to explore different genres in cinema, but he always finds a comfortable spot in the world of sci-fi. Sure, the Reeves loves to stretch his acting chops in rom-coms, indies, dramas, and even comedy but his fans tend to follow him wherever he goes. This time around, Reeves has decided to come back to sci-fi and this time, he’s, brought actresses Alice Eve, John Ortiz, and Thomas Middle with him for Entertainment Studios latest film. The film tackles topics that have become more relevant today such as artificial intelligence, consciousness, and the positive and negatives of cloning. 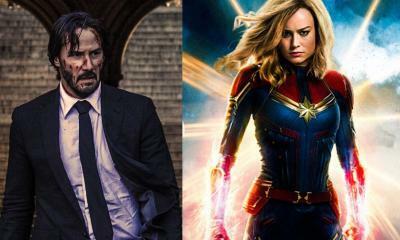 The film is already out and theaters and ScreenGeek was fortunate to interview some of the cast such as John Ortiz, Alice Eve, and Keanu Reeves himself. You played your character almost like Colin Clive from Frankenstein in certain scenes. Was that intentional or did that come from somewhere else? Keanu Reeves: In what way? There was a part where you were talking to Thomas Middleditch and you had a weird, kind of crazy look, like ‘I have my family back, so I have to do whatever I can’. Was that a subconscious kind of thought? Keanu Reeves: There was definitely, while we were developing the script and the performance and the story, the idea of Frankenstein. Not of the monster, but of the doctor. Alice, you had a strong connection with the Zoe character, so did you spend a little more time with her behind the scenes to kind of build up that dynamic between the two? There’s a scene where you think you see her in the trees and you have this look. Alice Eve: I think after we filmed the rain machine scene, which I won’t ruin but we all had to lay out in the rain, we had a very strong bond for all of us. It was like Chinese torture, so we all bonded. They were really cool kids. It’s crazy now; they’re older. Emily is now like a teenager, and she was a girl then and it happened so quickly and I sound like a mom, but I love them very much. 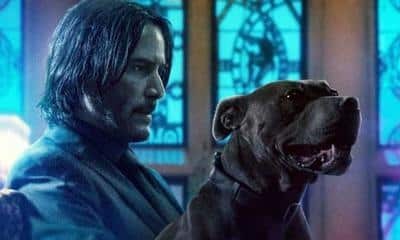 Keanu Reeves: –No it wasn’t that I couldn’t take it, it was cast. Alice Eve: –We have John Wick though! What can he do; he can’t be a cheater! You can’t cheat on John! Keanu Reeves: –Of the two, I’d love to play Wolverine. Now, if that never came, would you want to do something else? Some other comic book character? Keanu Reeves: I don’t have one, to be candid. Alice, I notice there was a shift after you were cloned. Your character is very almost like Stepford Wife, but there’s a bit of tension between you and Keanu Reeves’ character. So, where did you find the balance to not go full robotic? Alice Eve: Well there was a big conversation we had, and I think we even shot something where I was more robotic. Because it’s a family movie and it wasn’t like a—well it is kind of gothic… it feels horror sometimes, it feels terrifying sometimes—but we didn’t want to lean into that too much with the result of those conversations and so I think that I felt that there was that disconnect that you can have when you feel that disassociation in your environment but you don’t trust yourself necessarily. So she was in that kind of conundrum where she was like something isn’t right but I can’t trust my instinct on it so I’m going to continue as normal. So, that was what was underneath there. 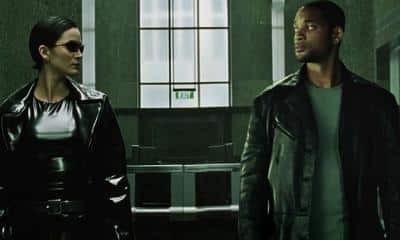 Keanu, the scenes where you’re mapping out everybody’s memories were very Minority Report, so how difficult was it to do that scene? Because I know they don’t have computers that can do that now, but were you able to come off naturally? 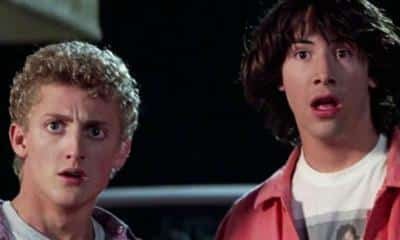 Keanu Reeves: Yeah, I just trying to create some movements that could match the drama of the story with what the character was trying to do like move something from here and put it over there. Alice Eve: Don’t tell me. So, how much fun was it on set? Because I know you guys had to look at it and be like okay, let’s go a little wacky on this. Alice Eve: It was really fun when I had to get in the stunt car with Keanu and I had to sit there while we did all these stunts. I thought I was gonna die. Yeah, you were very good at those, but we did a lot of stunts! Keanu Reeves: No, we had to go through these, I guess, the woods? And reverse… Yeah, that was fun. Awesome! Thank you so much for your time. Later, I was able to have a sit down with actor John Ortiz on his performance as the character Jones. Your character is really evil, and you’re normally known for playing the nice guy or the father figure or the inspiration. So, what attracted you to this role? John Ortiz: At one point, I wasn’t playing the nice father types. In the mid-’90s, I was Miami Vice or American Gangster. They were guys that you wouldn’t necessarily describe as nice. So, I had this whole other phase where I wanted to explore different type of people. Just more regular folks who might have better intentions behind them. They started coming and it was fun to play. When this came along, it fell in that time period where I was like ‘Yeah it’d be good to go back to the bad guy’. Cause I think this guy, Jones, doesn’t necessarily start off from like an evil place. But I think what he chooses to make a priority in his life are things that if you’re not careful and you don’t have any kind of a moral compass on then definitely make you do some shady things. You know what I mean? When the film started, he kind of came off as a concerned boss. It seemed that by a certain point of the movie he was pointing a gun and everything, and it was a really weird turn. 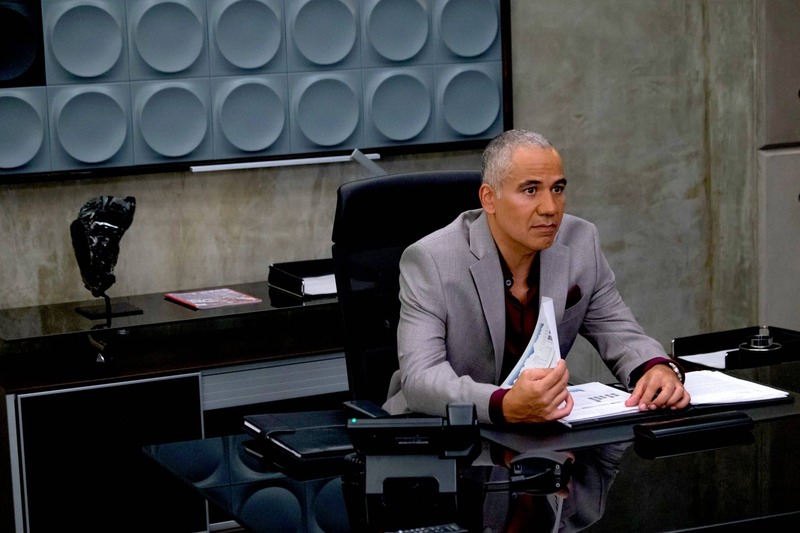 John Ortiz: The story is filled with those twists and turns, and I think surprising to not only the audiences but the characters themselves, should be just surprised that ‘oh my god’, I now find myself in this position doing this thing that I would have never imagined doing. They’re something that’s like, life when it comes to those kinds of things. He’s just like a business guy who has a bottom line, on target, and that bottom line leads to power, leads to greed and he finds himself in a situation and a position that I’m sure when he was a young man he didn’t think that he’d be in. Is there a deep dark part inside of you that’s like ‘yeah I want to keep ratching up, with like every movie, and I want to become a supervillain’ or anything like that? John Ortiz: No, I try to find the humanity in all the characters and kind of depth there. I also on the surface like to do things that are different. Like, do they have a different job or a different history, a different set of circumstance around them, a different genre, explore from that point of view and take it as if I am learning something new. I try really hard not to pull from the same well because then it’s the same thing. It’s essentially the same character in different clothes. I’ve had to turn stuff down that I felt was too similar. Always keep ‘em guessing. Is there a particular scene that you wanted to ham it up or go bonkers? 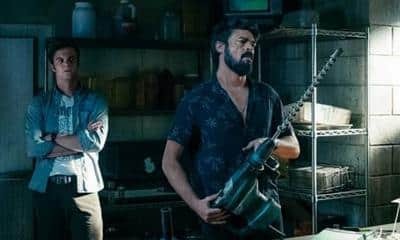 John Ortiz: There was a trick with this guy because you could fall into the trap of being the guy who’s masterminding a lot of things and always in control of a lot, so that thing I said earlier about characters genuinely being surprised by their actions was really important to me so I tried to ground him from that place as much as I could. John Ortiz, thanks for talking to ScreenGeek. Replicas is playing at your local theater.